Normally I'm not a pound cake fan, but this is my exception. 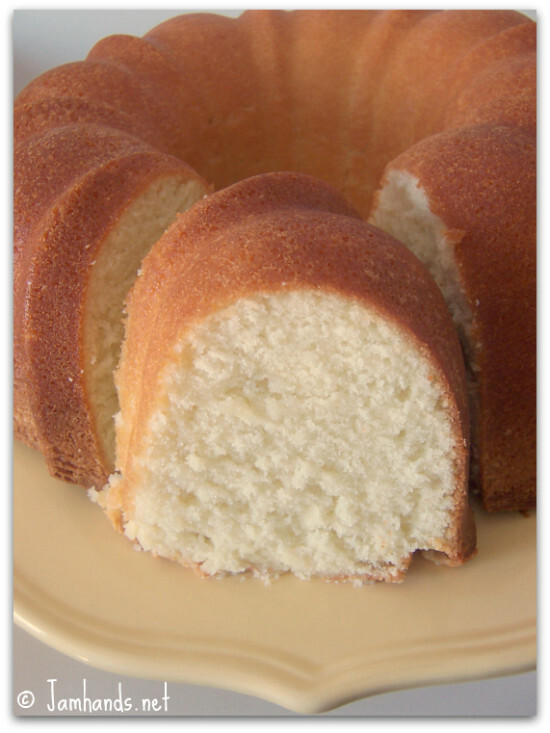 This pound cake is more and more delicious by each passing day. On the third or fourth day it was absolutely delicious served with a bowl of fresh strawberries and whipped cream. If you can manage to have a bit of patience, let it sit for a day or two, at least after initially trying a slice. It just gets better and better. 2. In a large mixing bowl, cream the butter and sugar together. Add the sour cream and mix until incorporated. Sift the baking soda and flour together. Add to the creamed mixture alternating with eggs, beating each egg 1 at a time. Add the vanilla and pour the mixture into a greased and floured 10-inch tube pan. Bake for 1 hour 20 minutes. This bread turned out perfect. Great recipe for a breakfast bread. I put butter and homemade Raspberry jam on mine-Delicious! 3 cups of sugar sounds excessive. Is that quantity correct? Would it work to make this as cupcakes? It might Rebekah but I am not sure what the baking time would be. Your best bet would be to google sour cream pound cake cupcakes and see if there are any directions out there for baking temp and time. Good luck! About how long do you beat the sugar and butter together? I would say 2-3 minutes. Mix lemon juice with a little half n Half and powdered sugar to drizzle over it. You can't go wrong with a cake like this! BJC.